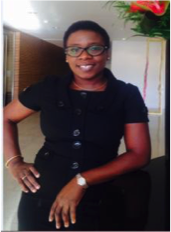 Tinuke Oloyede is a notable Human Resources & Organisational Development professional, with vast experience across multiple countries in Europe and Africa. She holds a bachelor’s degree in Chemical Engineering and a master’s degree in Organizational Performance from Cranfield University UK. She is also an alumna of the executive program in Standford Business School and Texas A&M Business School. Tinuke Oloyede sits on the Board of Bournemouth University, a top university in the UK and is a member of the Society of Petroleum Engineers (SPE) Scholarship committee. Earlier on in her career, she worked as an engineer at Schlumberger, where she became a Service Quality manager. She then moved into Human Resources (HR) and was Talent Management Lead for Europe and Sub-Sahara Africa. She currently works in Halliburton as Head of HR Projects for Sub-Sahara Africa. She is a member of the Chartered Institute of Personnel Development (FCIPD) UK. A firm believer of continuous improvement and learning, she is the founder of Kàdàrà Brite a charity that sponsors the education of talented underprivileged children. Atinuke Oloyede resides in the UK and is married to Tunji Oloyede.